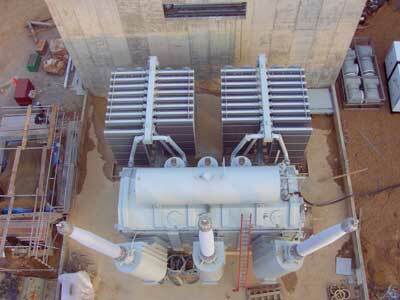 We design and engineer high-voltage solutions for global substations and power generation properties. Custom-engineered transformers are ideal for single-phase and three-phase sites used by industrial, utility and petroleum clients. We offer transformers with multiple vector groups, customized windings and high-quality bushings. These products are engineered to meet or exceed design specs. Precision construction facilities allow us to quickly supply emergency replacements and multiple transformers for large-scale substations. Our engineering, procurement and construction (EPC) services are intended for fast-track projects that demand time- and cost-conscious results. Equisales is focused on meeting the evolving needs of global energy companies. In the coming decades, fast-track power initiatives will be instrumental in meeting the increasing electricity demands of new and existing markets. Developments that require mobile power generation units and distribution substations are growing rapidly. Today, we are using our century of cumulative experience to deliver high-voltage solutions, transformers and substation packages with rapid turnaround times. In addition to supplying and transporting high-voltage transformers to global transmission and distribution sites, we offer a range of related services. Our experienced engineers can assist with the planning, design and construction of fast-track substations as well as post-installation testing, maintenance and repairs. Broad in-house capabilities allow us perform off-site services and assist local teams in the field. At Equisales, we have an excellent track record for building, delivering and installing high-voltage transformers and substation components in limited timeframes ranging from 10 days to 12 weeks. We excel at managing complex multi-site projects with uncertain infrastructure and environmental challenges. During critical production phases, our integrated EPC services offer excellent results. We are prepared to assemble, install and test transformers to ensure rapid deployment in markets around the world. When facilities require specialized equipment for utility, mining and petroleum applications, we can design or refurbish transformers and assemble substation components. In the field, travel-ready vacuum filling units and experienced technicians complete installation and testing at remote energy sites. Specialists are available to conduct pressure tests and oil processing that removes moisture and air from dielectric materials and newly built coil windings. We also perform post-installation field testing to ensure the health and performance of existing substation transformers. Detail-oriented assembly and testing services guarantee that transformers meet client specifications and strict quality standards. Contact us online or by calling 713-733-3999. Experts are available 24 hours a day to handle your time-critical requirements.